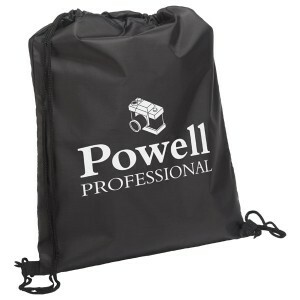 Are you in search of a promotional item, which gives you high ROI, at the same time falls lightly in your budget? 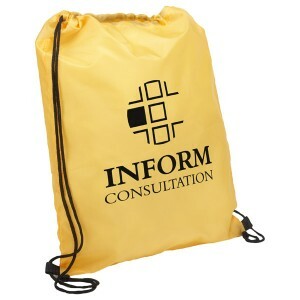 You should perhaps think about investing in this custom quick sling budget polyester drawstring backpacks. 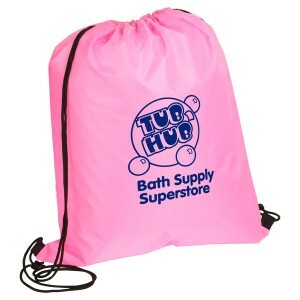 This drawstring backpack works for most big and small budget marketers due to its uniqueness and they can employ it for value building and power gifting throughout the year. 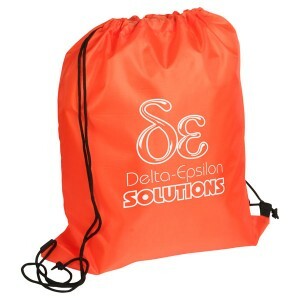 Your present, old and future customers would envy and retain these polyester drawstring bags. 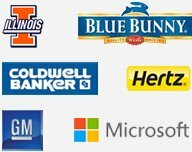 You can choose them from bevy of vibrant colors. 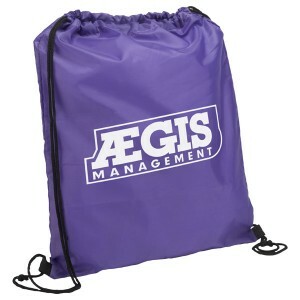 It is perfect for colleges, park districts, high schools, and local stores. 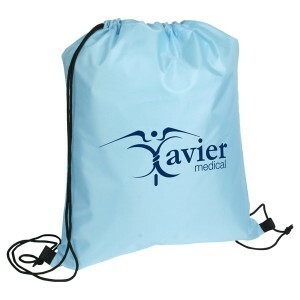 Request a quote to know wholesale price benefits that you can expect on bulk ordering these customized quick sling budget polyester drawstring backpack. 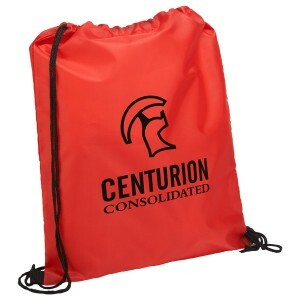 Features –Made up of 190T Polyester, drawstring closure, and this lightweight tote can be used as a backpack. 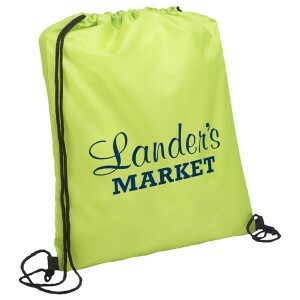 Available colors- Blue, Carolina Blue, Black, Forest Green, Purple, Lime Green, Red, Yellow, Pink & Orange. 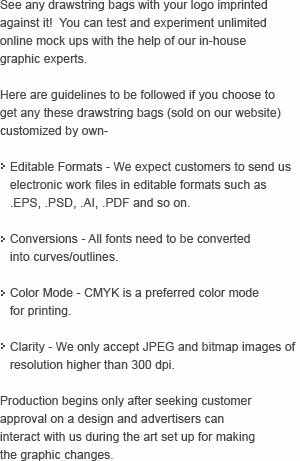 Item Size - 13-1/2" x 16-1/2". 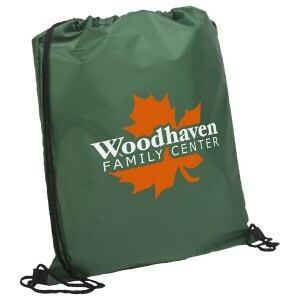 Imprint Location- Front/Back. Imprint Area- 9.5" x 7.5". 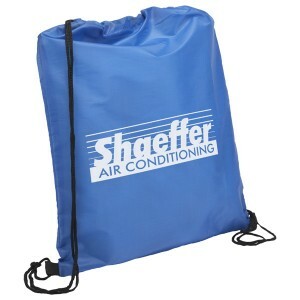 Product Size : 13-1/2" x 16-1/2"